For over 35 years, the Deltron® refinish system has built a legacy for color match, speed and outstanding results in a variety of working conditions—facilities large and small, bake or no bake. For more than three decades this American-made brand has been refined and perfected to uphold its long-standing reputation for color excellence and process efficiency. The PPG global color-matching network collects over 40,000 OEM primes and variants per year, creating an unrivaled database of more than 2 million formulas. 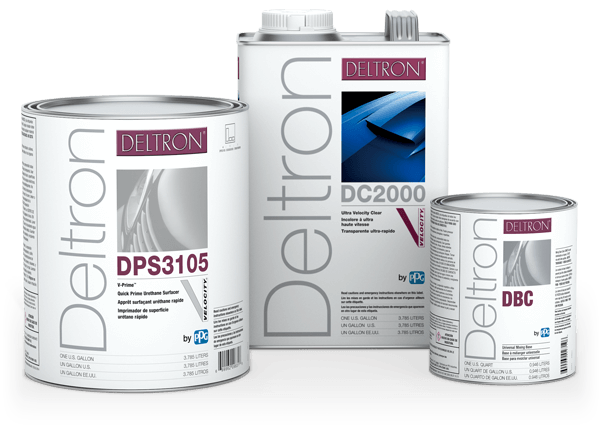 With its full range of easy-to-use products and systems, the Deltron® brand offers a wide range of process-efficient options to meet the specific performance requirements of the traditional collision repair shop. The Deltron® refinish system is a state-of-the-art premium solution specifically developed to reproduce the hi-tech OEM finishes found on today’s import and domestic vehicles. PPG offers the most comprehensive training and process improvement program in the refinish industry. As one of the most in-demand custom builders working today, Hall of Famer Bobby Alloway is as uncompromising as the hot rods he builds. It's no surprise that Bobby's go-to paint is the Deltron® system by PPG. On his Graveyard Carz television show on the Velocity channel, Mark Worman and his hard-working crew depend upon the Deltron® system for the authentic restoration of classic Dodge, Plymouth and Chrysler muscle cars.